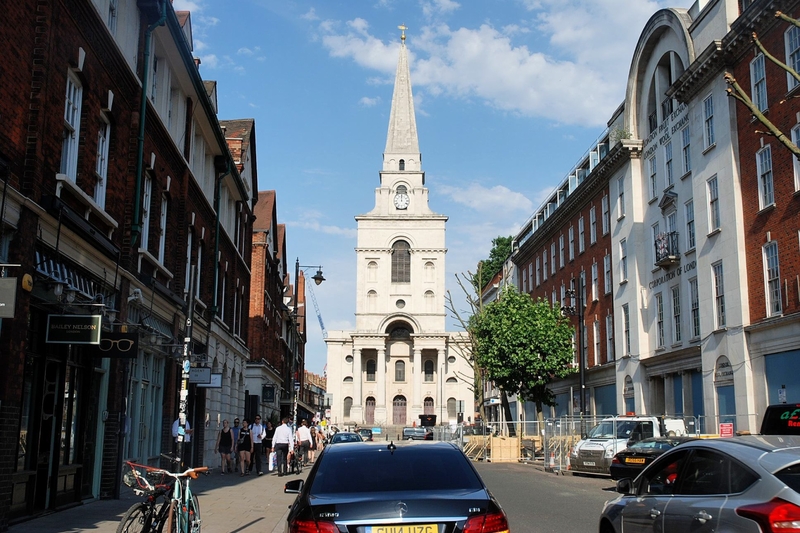 Spitalfields Area Guide - What makes Spitalfields so great? Where do Spitalfields locals go? A great brunch menu on a Saturday and the service is excellent. The full English and the anchovy butter is a nice touch. Fantastic breakfast dishes served throughout the day, but be warned, it gets very busy at the weekend, so expect to queue. Great places to eat, loads of quirky gift ideas and a venue for all kinds of events, including a pop-up hotel. This restaurant in The Heron is a great way to start the day and there's not a bad view either... Breakfast is a must!! Always busy, with great breakfasts throughout the day, as well as lunch and dinner menus. Proper coffee in warehouse-style surroundings and food too, served from breakfast through to dinner. Busy but buzzing and the cocktails are amazing. If you want to try sushi for the first time, no better place. Delicious! Share your favourite place to go to in Spitalfields. "Brick Lane offers the highest concentration of curry houses in Britain." Old Spitalfields Market is the perfect place to pick up a gift or dine in beautiful Victorian-designed surroundings. You are spoilt for choice in Spitalfields Market when it comes to the restaurants. A diverse community and great shops, bars and restaurants. What do you think of Spitalfields? Music, multi-media, arts, crafts, sports, dance, advice, information and support including further education and employment opportunities. Spitalfields is a former parish in the borough of Tower Hamlets, in the East End of London, near to Liverpool Street station and Brick Lane. The area straddles Commercial Street and is home to many markets, including the historic Old Spitalfields Market, founded in the 17th century, Sunday UpMarket, and the various other Brick Lane Markets on Brick Lane and Cheshire Street. Current 'urban regeneration' has also seen the erection of large modern office blocks, between Bishopsgate and Spitalfields Market. These represent, in effect, an expansion of the City of London, northwards, beyond its traditional bounds, into this area. However, a rear-guard action by conservationists has resulted in the preservation of Old Spitalfields Market and the provision of shopping, leisure amenities and a new plaza behind the city blocks. What are your favourite things about Spitalfields? Find out how much your flat or house is worth om Spitalfields. Feedback about living in Spitalfields has been submitted directly by the public and may not neccessarily reflect the views of Foxtons. The description of Spitalfields was modified from Wikipedia and is available under the Creative Commons licence. Land Registry data is Crown copyright. All the views and contributions contained within Foxtons Local Life are those of the contributors. All content is assessed before publishing for taste, however free opinion is encouraged. Foxtons accept no payment or sponsorship for content that is posted about Spitalfields.